Get in. Get it done. Get home. Simple daily reports from the field. Stay on top of all of your projects with notifications, insights, and analytics on Raken's dashboard. 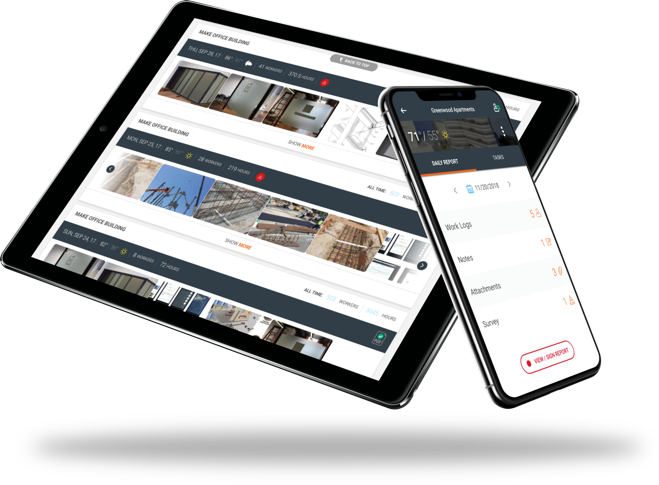 Quick and easy construction management with Raken's digital toolbox. Trusted by thousands of construction companies around the world. "The app has been an asset on multiple projects. The ease of use has helped us streamline our daily reporting process." "Easy to use, convenient app that cuts down on paperwork time, compared to the old method of filling out a spreadsheet every day." "With Raken, all the information is at my fingertips. Everything that a good daily report needs is done for me at the press of a button."